In Beyond the City, the desire for money and romance drives the characters beyond the typical boundaries of their middle class Victorian lives. Lust, deceit, and financial scandals rock their placid world. This is a lightweight social comedy. Professor Challenger is arguing with people who are calling him on the telephone when his friend Malone enters and requests Challenger accompany him to inspect the discovery of Theodore Nemor, who invented a machine capable of disintegrating objects. A group of European tourists are enjoying their trip to Egypt in the year 1895. They are attacked and abducted by a marauding band of Dervish warriors. The novel contains a strong defence of British Imperialism and the Imperial project in Africa. In this epic novel squire Nigel Loring sets out to serve King Edward at the start of the Hundred Years' War. As battles wage between the French and English armies, Nigel attempts to earn his knighthood .. and to win the heart of the woman he loves. This work is Conan Doyle's casually eloquent tour of the cherished books on his own shelves. As the author surveys the contents of his bookroom, each book prompts an essay in appreciation, affectionate reflections both personal and literary. Doyle documents the atrocities committed in the Congo Free State, the personal possession of Leopold II of Belgium. Thousands of native Africans were forced to labor on rubber plantations for the benefit of their colonial overlords. This novel is a historical adventure set during the Hundred Years' War. The story follows a young man as he leaves the shelter of an abbey in England and becomes involved with Edward, the Black Prince's campaign in Spain. Professor Challenger, his wife, journalist Malone and adventurer Roxton have gathered with oxygen canisters to watch the final hours of the world. As a poisonous miasma apparently asphyxiates the human race, Malone feverishly writes his copy. When the wars of the Spanish Succession had been brought to an end, the vast number of privateers found their occupation gone. A few of the more reckless hoisted the Jolly Rodger at the mizzen, declaring a private war against the whole human race. Grade 7 Up-A coded warning of imminent danger sends Sherlock Holmes and Dr. Watson to the country house of the reclusive Jack Douglas. When they arrive too late to prevent a tragic death, they must follow bewildering clues and find a murderer. The first published story involving the legendary Sherlock Holmes, and the first narrative by the unassuming Dr. Watson, a military surgeon. Watson needs a flat-mate and a diversion. Holmes needs a foil. And thus a great collaboration begins. What dark deed from the past put a lifelong curse on Major Heatherstone of Cloomber Hall? The master of detective fiction reveals his deep fascination with spiritualism and the paranormal in this gripping tale of mystery and the supernatural. The drama of events from the past is captured in this collection of short stories. From the last desperate moments of a stricken Carthaginian galley to mutiny on board a pirate ship, Conan Doyle captures the excitement and color of the age. World-famous Sherlock Holmes is once again called upon to put his uncanny detective techniques to work in The Hound of the Baskervilles. This mystery/horror story has become the archetype around which an entire genre has been created. The six stories that comprise His Last Bow seem darker and more disturbing than Conan Doyle's previous Sherlock Holmes works. Unlike earlier Sherlockian tales, five of these stories are reminiscences written after Holmes's retirement. In these pages you will find adventure, action, romance, love and self-sacrifice, hair's-breadth escape and reckless courage, gallantry, panache and a droll. You will also find yourself, in the hands of an indisputable artist. Grappling with treachery and ingenious crimes of all kinds, Holmes' dazzling powers of logic are as sharp as ever - no case is too challenging, no mystery too dense for the immortal sleuth's logic and legendary powers of deduction. Sir Arthur Conan Doyle's second story collection about the greatest detective, containing such puzzles as The Greek Interpreter, The Musgrave Ritual, Silver Blaze and The Final Adventure, the struggle between Holmes and the evil Professor Moriarty. Tales of Terror and Mystery is a collection of tales that will make your spine tingle. The book is brimming with unexpected twists and surprises, it makes for compulsive reading. 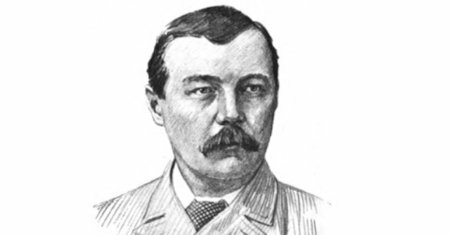 Doyle is the famous creator of extraordinaire detective Sherlock Holmes. Three years after his apparent death, Holmes resurrectes and lets his conscience prevail over the the law. Dr. Watson and Holmes are back together after a long hiatus at the top of their form, pursuing a criminal to their own front door. Classic adventure by Sir Arthur Conan Doyle which uses the written word to visualize the mysterious world of pterodactyls, plesiosaurs and iguanadons roaming the earth in the 20th century. An SF adventure into the dense jungles of South America. Easy-to-read Sherlock Holmes stories. Numerous mysteries are brought to the house on Baker Street where detective Sherlock Holmes resides. No case is too tricky for the world's most famous sleuth and his incredible powers of deduction.